Bumble the Abominable Monster is holding the star of the iceberg. His scary yet smiling face, will make a great display for your yard. He's wrapped with tinsel, which is white, & has 120 UL-lights. 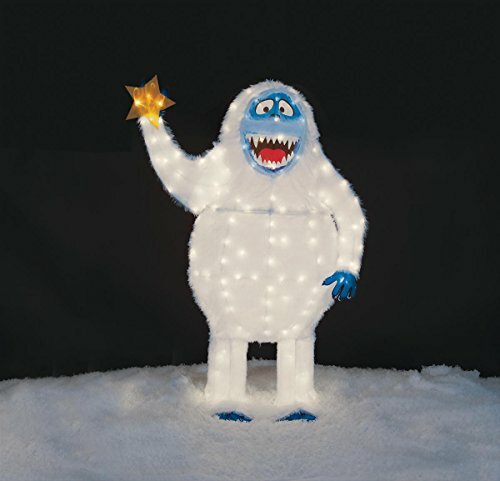 He'll brighten your yard for those snowy nights. He stands 56 inches tall. A soft furry tinseled body. A great addition to your holiday decor. If you have any questions about this product by Bumble Monster, contact us by completing and submitting the form below. If you are looking for a specif part number, please include it with your message.